If you are reading this, then you probably already know that we specialise in re-finishing furniture, what you might not realise (because we haven’t told you yet!) is that we also make lots of nice little bits and bobs that everyone has space for and find vintage treasures to make your home unique! We will shortly be putting some of these items up on our ‘et cetera’ page. Today we’d like to thank you for reading by giving you a free printable to use as you like.! It’s full A4 size, which makes it easy to find a frame – we find Ikea and Wilkinsons very reasonable. So, without further ado, here you go! Just click on the photo to go to the full-sized image, right-click and save as. I would love to see how you use it so please do share your photo’s. If you want to use for commercial purposes then all I ask is that you leave our web site address in situ. Hello! I hope this cold weather isn’t slowing you down? It’s taking the paint a little longer to dry than normal but that just means I have time to write you another quick tutorial. I’ve had the photos for ages but only now have I got the time to share it with you. 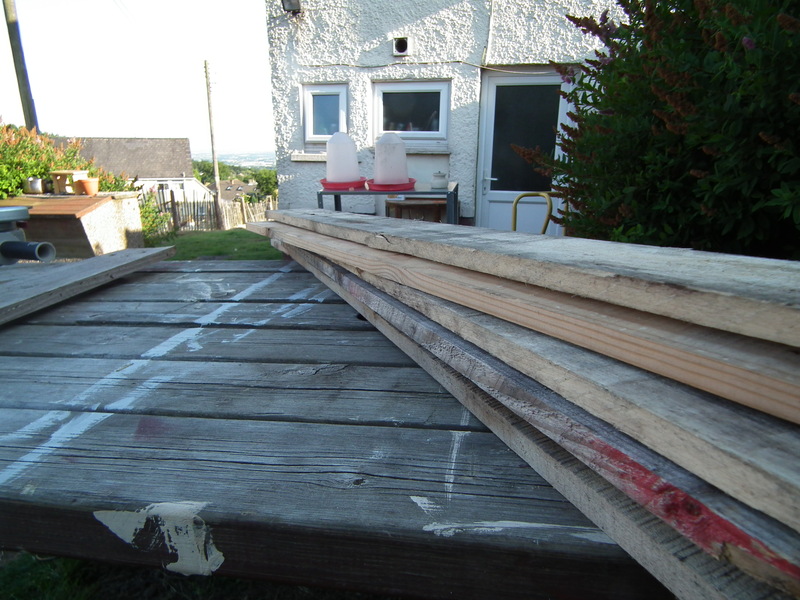 I started by finding a couple of planks taken from a reclaimed pallet. Be careful when taking pallets, if possible, ask whoever owns it. They will usually be glad to get rid of them but check all the same. A small part of my stash! 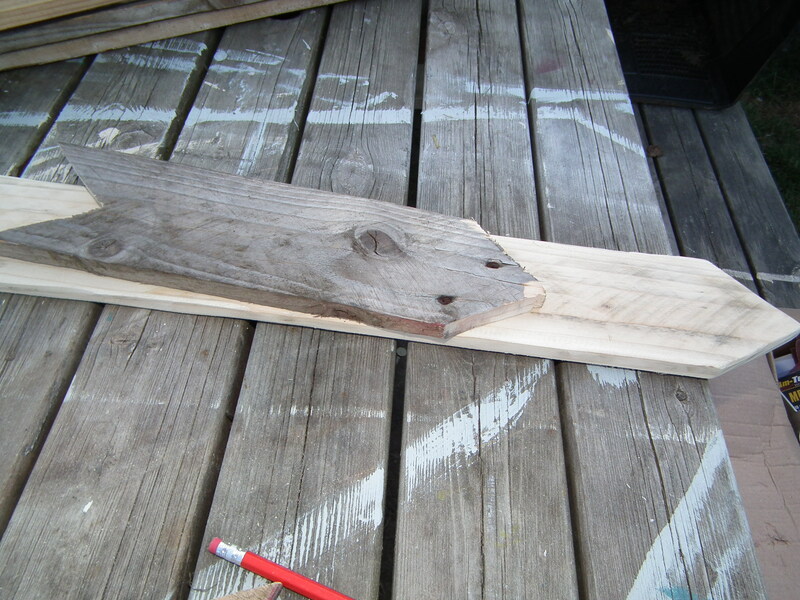 Once you have some suitable wood cut it to your desired shape and size. If you are going to stencil or use a transfer (look out for another post regarding this) of a word then make sure your sign is long enough to fit it on! 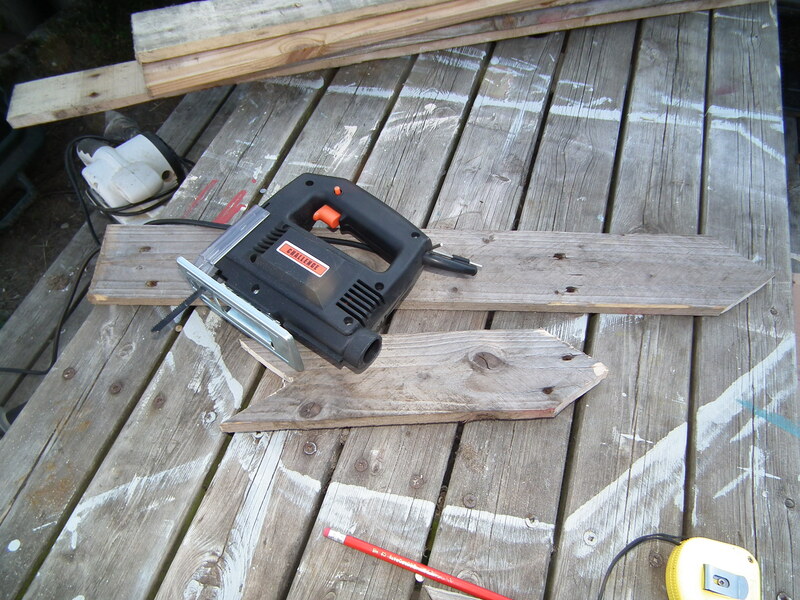 As you will soon discover I L O V E my power tools so used an electric jigsaw but an ordinary hand saw would work just as well. Then I brought out the big guns. No electric sander for me, not when I have my angle grinder!!! 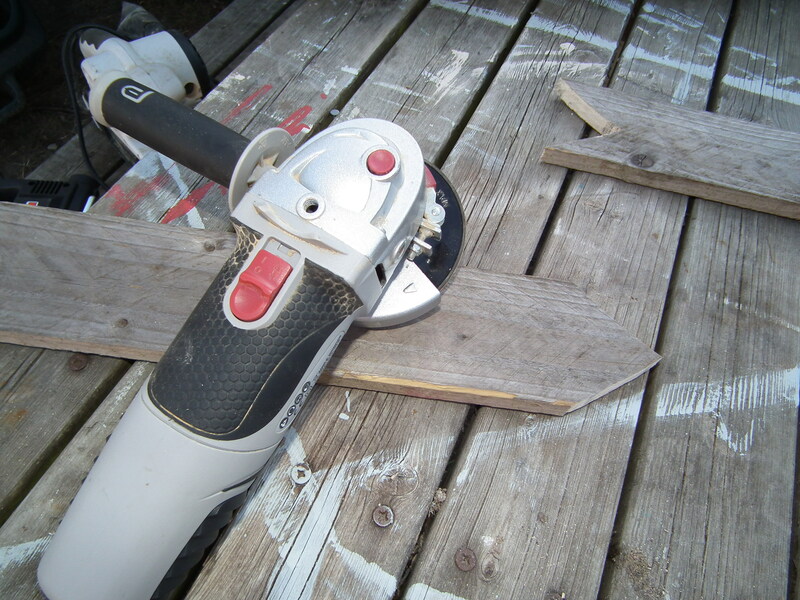 Now there’s a real knack to sanding with an angle grinder but playing with a piece of scrap wood or a ‘rough’ project, like this one, is a great place to start. 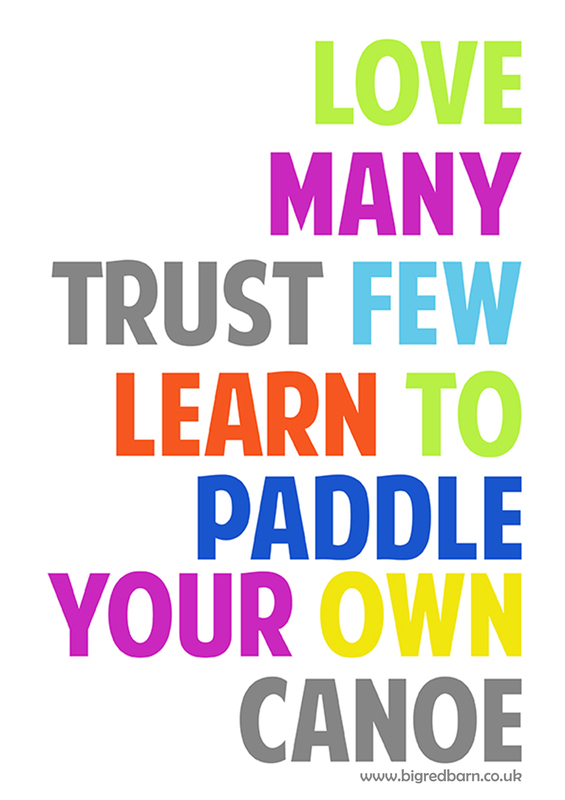 Be gentle and ‘stroke’ the wood, using just the weight of the tool and no more. I will try to get a video of this but it probably won’t be ’til the spring now! The larger piece was sanded in 2 minutes! 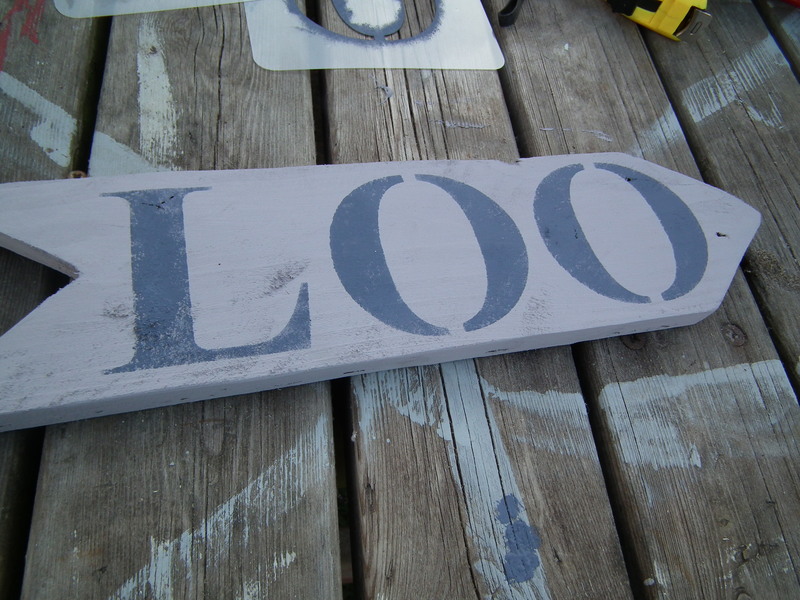 Then I forgot to take a photo of the paint I used but it was an Annie Sloan in a pale lilac/blue colour. 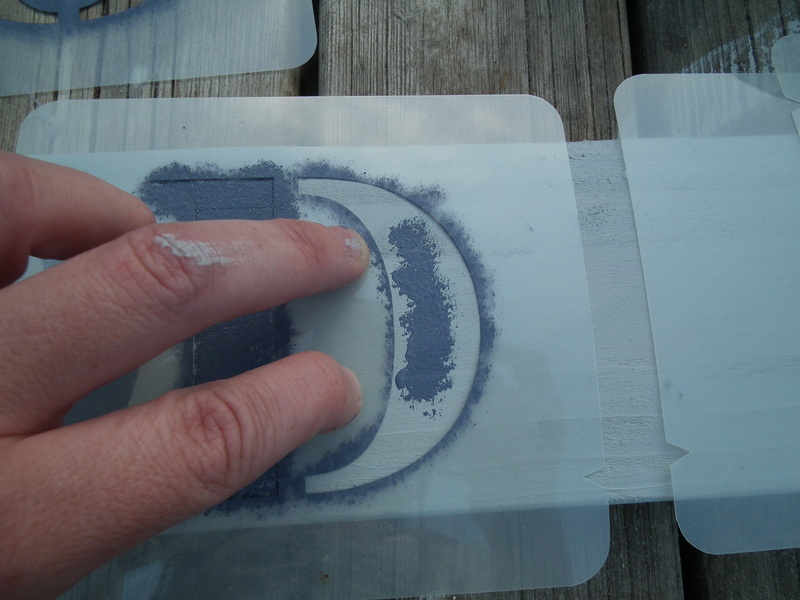 I had some stencils from another project but couldn’t find my stencilling brush. 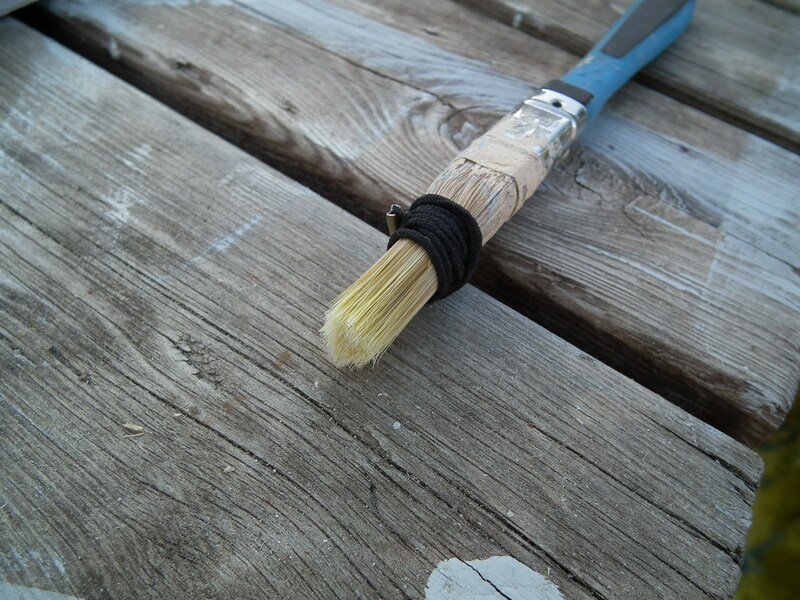 If you don’t use them a lot then it’s probably not worth buying one and you can get good results by wrapping an elastic band around a small brush to hold the bristles tight together. If you can sacrifice the brush then you can trim it to get a flat head. 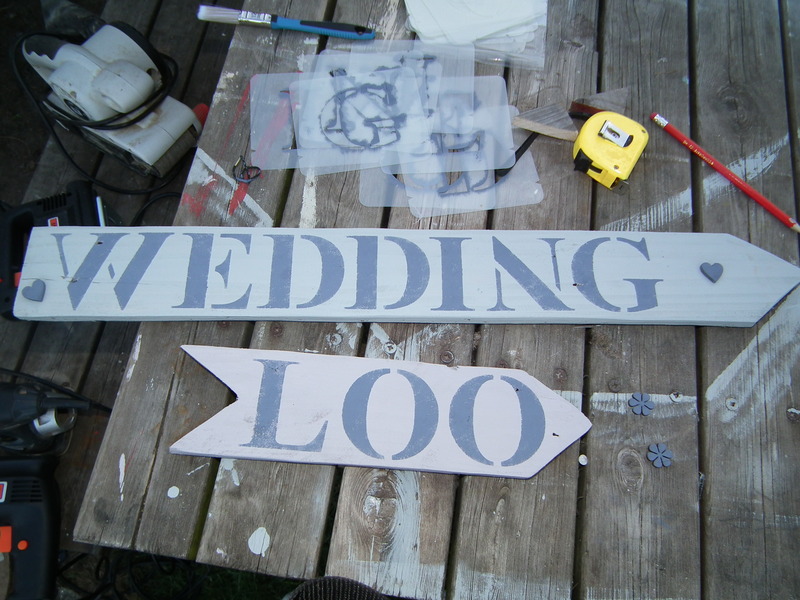 Once your paint has dried you can add wire or string to hang, or mount your sign on a stake in the ground. If they are to be used outside you should give them a good coat of suitable varnish. Since doing these signs I’ve come up with a couple of different methods of applying the writing that are more versatile and easier to apply so check in again soon for that tutorial!